Jazz up birthday cards, Christmas cards, birthday "party bags" or murder mystery invites by enclosing one of these free family friendly whodunit puzzle sheets for the recipient to tackle. Or, at the end of your murder mystery party, present guests with a puzzle sheet that they can take home for other members of their family to enjoy. 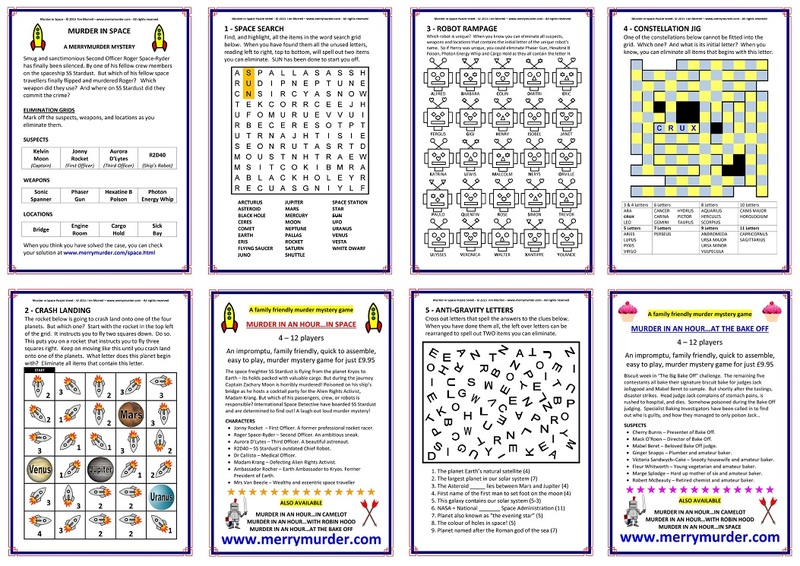 Each puzzle sheet has a two page and a four page version - the latter for those of us who appreciate larger print! 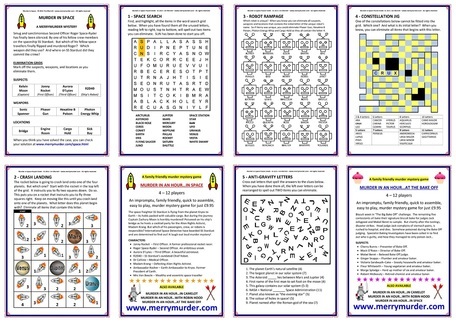 Please click the facebook share button if you think your friends or their family will like these puzzle sheets. Thank you. use? And in which room at Cloo Hall? colour? How did they do it? And what vibrant colour did they make it! did they use and where did they do it?